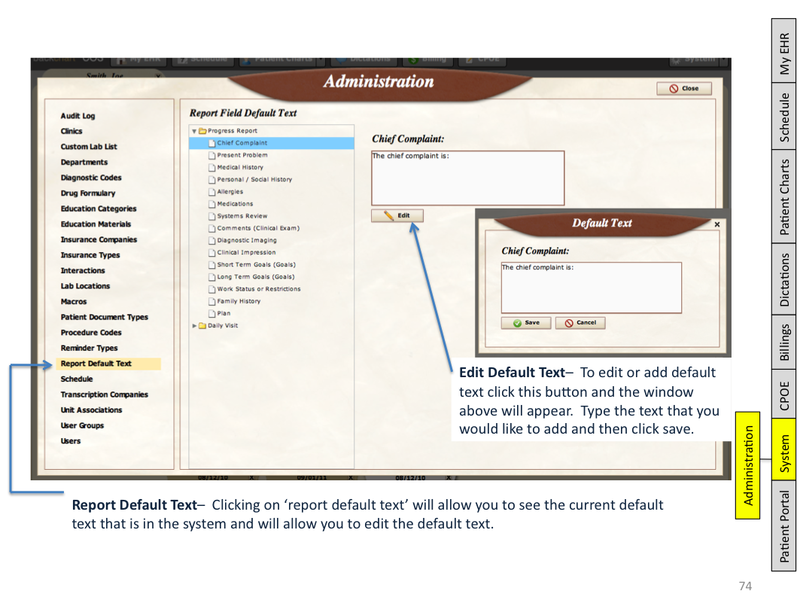 The Client Settings section of the System Administration allow for customization of the level of password security. 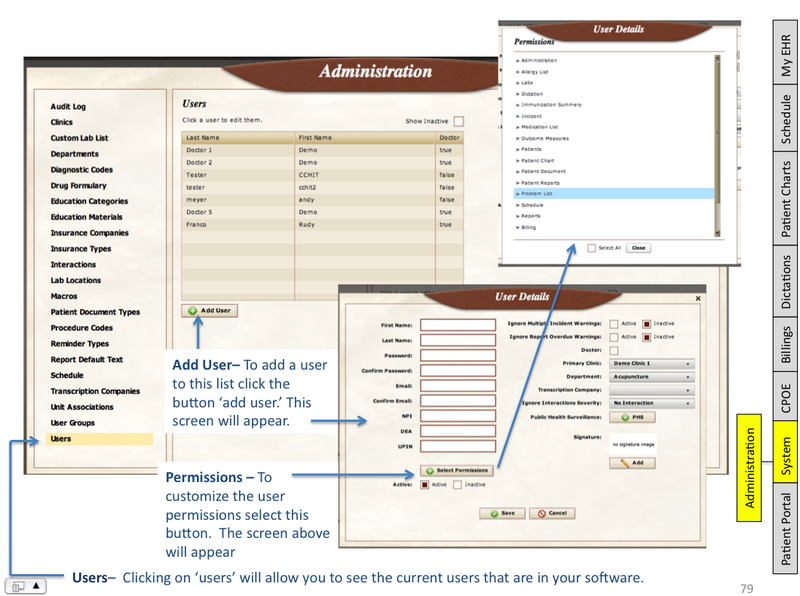 By default, a user’s BackChart password must be at least 6 characters long and does not expire. 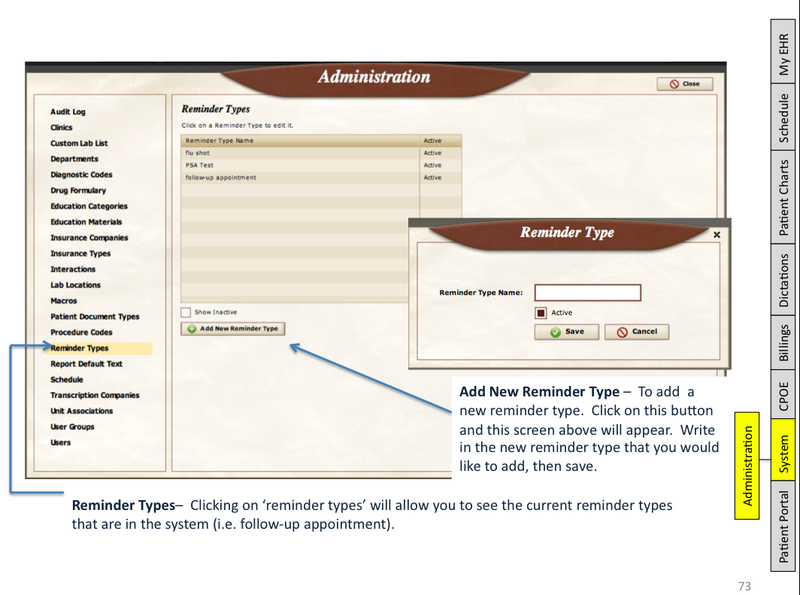 In this area, administrators can increase the minimum characters that a password must have, require that the password contain at least one number, and set how frequently a user must change their password. 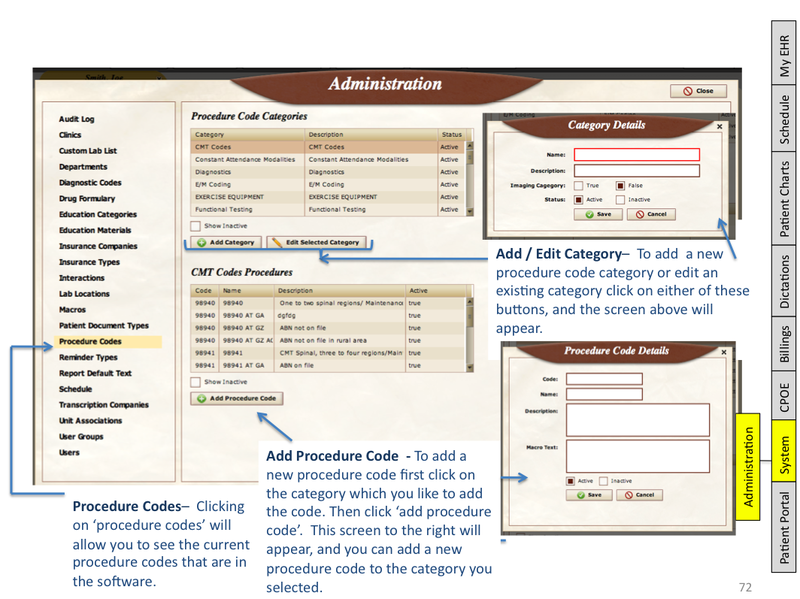 They may also customize the level of password security for their patient’s who access their health information through the Patient Portal. 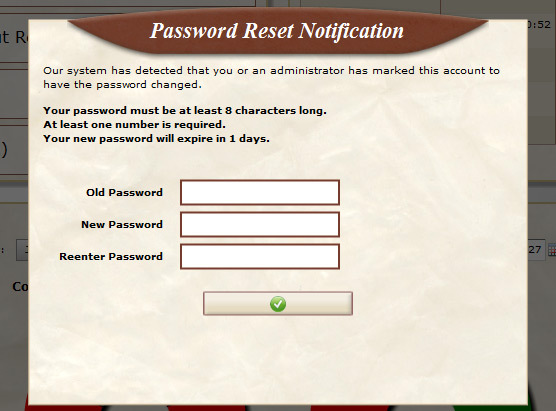 If the password policy is changed and a user’s password no longer meets the new requirements, they will be asked to set a new password when they log in. 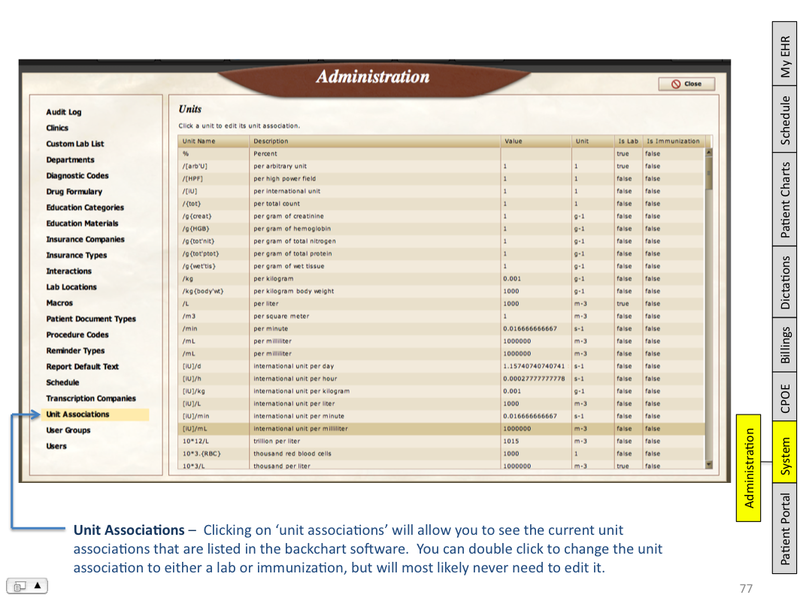 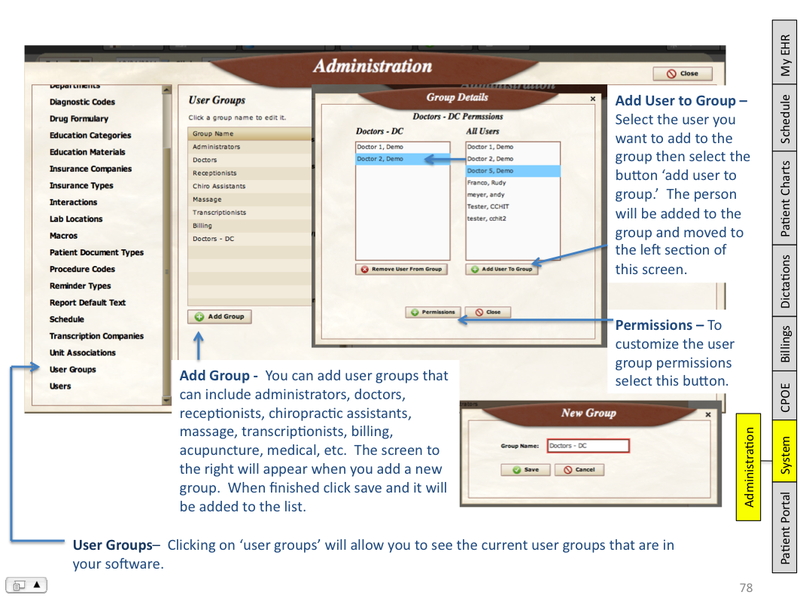 CLICK HERE FOR EASY TO READ GOOGLE DOC: BackChart® COS User Groups and Permissions. 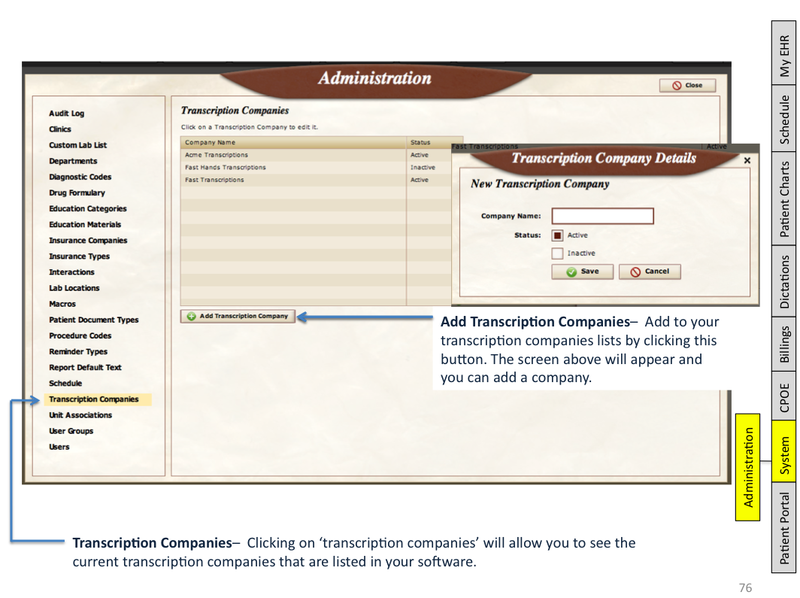 Note: Transcription companies can access your dictation files & enter in notes for you. 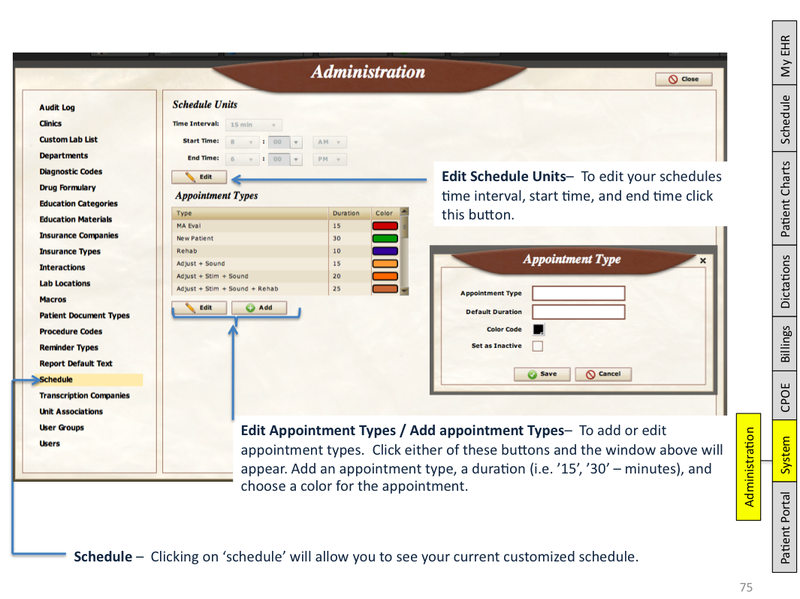 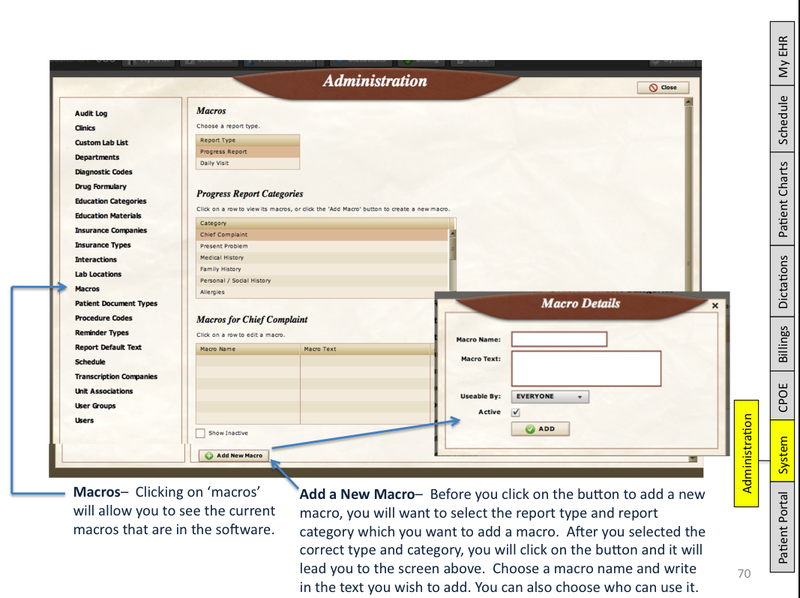 See written instructions below on how to add & customize procedure codes in BackChart® COS.
See written information below on how to add & customize macros in BackChart® COS.